The low-carb paleo diet has been one of the most searched diets online in recent years. Many of the leading paleo programs actively market to teens, and a few years back, a celebrity chef in Australia even co-wrote a paleo cookbook for babies and kids. Public health officials there warned that the paleo diet, which eschews carbohydrates, processed foods and dairy, isn’t a safe way for children to eat. Why do carbs have such a bad rap? It isn’t because they’re bad for us. A carbohydrate, by definition, is a food compound that gives the body energy. Carbohydrates, whether in grains, fruits, beans, vegetables or cookies, contain simple sugars that must be broken down into pieces to be used by the body as energy. There is a huge difference between fast carbs and slow carbs, however, and herein lies the confusion. Fast carbs found in cake, candy, pretzels and cereals are absorbed quickly. They enter the bloodstream rapidly, raise blood sugar and, as a result, raise insulin. Eating too many of these too often can negatively affect one’s health by disrupting hormones and metabolism and leading to more body fat and diabetes. As Americans better understand the negative health effects of these fast carbohydrates, an anti-carb hysteria has taken shape. Yet, slow carbs, such as those found in vegetables, whole grains, beans, legumes, sweet potatoes, nuts and seeds, are higher in fiber and are broken down and absorbed slowly, so that the energy the body receives from these foods lasts longer. These carbohydrates should not be restricted for children. They are essential to a child’s brain function and energy, especially when he or she has long days at school and extracurricular activities. Carbohydrates provide readily available energy, while protein and fats make fuel over a longer period of time; active kids need a balance to get the sustained energy and nutrition they need. Many low-carb diets leave teens with fewer calories than their growing bodies require. A majority of an adult’s bone mass is obtained during adolescence, so it’s not the time to be forgoing foods that provide essential vitamins and minerals for growth. Gluten is a separate issue. Some teens have jumped on the gluten-free bandwagon because of such celebrities as Miley Cyrus. Others think it will help them lose weight. The danger is that teenagers who avoid gluten along with carbohydrates might replace whole grains with gluten-free processed foods, rather than with foods that have the same vitamins, minerals and fiber. Studies show that people who go gluten-free may wind up deficient in fiber, iron, folic acid, niacin, thiamine, calcium, vitamin B12, phosphorus and zinc, because many gluten-free foods lack these nutrients. Whether kids and teens are on an unnecessary low-carb or gluten-free diet or not, another concern is that they are more likely to become overweight adults with lower body satisfaction and a disordered relationship with food. Restricted diets can be hard to sustain, which leads a child down a path toward failure. And being on a rigid diet, especially unnecessarily, can be a burden to a child socially. 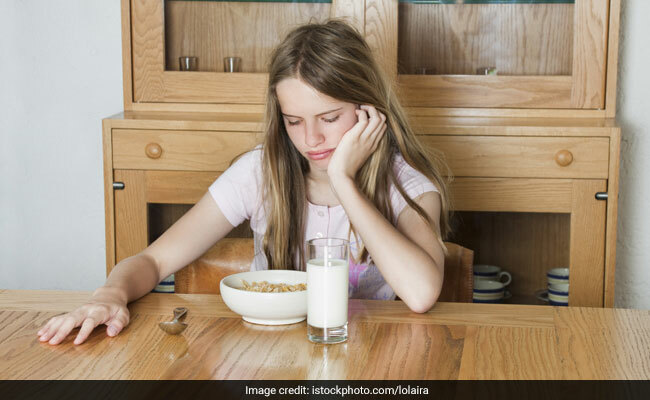 Many teenagers do not want to feel different from their peers; eating abnormally, unless medically necessary, can create negative feelings toward food. If a teenager without medical issues wants to try a low-carb, no-carb or gluten-free diet, tell them science shows that it isn’t good for their growing bodies. Instead, help kids make lifelong healthy food and lifestyle choices by sitting down for regular family meals that include all the food groups, modeling how to eat a varied, balanced and unrestricted diet, and encouraging children to appreciate their bodies for what they accomplish every day instead of their size and shape. This may not be rocket science, but unlike many fads, it is based on real science. – Seidenberg is co-founder of Nourish Schools, a D.C.-based nutrition education company, and co-author of “Super Food Cards,” a collection of healthful recipes and advice.